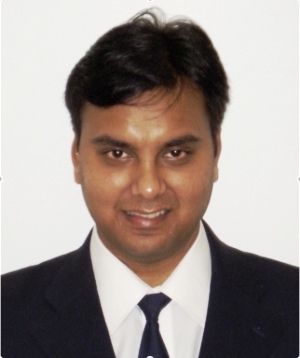 Vishal Kumar is a master's student at the University of British Columbia. He is partly with "Lithoprobe" and partly with "Seismic Laboratory for Imaging and Modeling" group in the Department of Earth & Ocean Sciences at UBC. He is a graduate of Indian Institute of Technology (IIT) in Kharagpur, where he obtained his B.Sc. (2006) in Exploration Geophysics. His field of interest is seismic signal processing and inverse problems and their applications to oil and gas industry. His current research involves developing new techniques applicable to multichannel seismic data. In future, Vishal would like to work on groundroll attenuation algorithms involving academic and industry partners. In his spare time, he volunteers for UBC Film Society or goes for a walk along the beach. My thesis involves interdisciplinary research combining new data analysis procedures applicable to multichannel seismic data. Drs. Felix Herrmann and Ron Clowes are my supervisors. We are doing some theoretical research with regard to seismic signal processing/enhancement and comparison of our results with those obtained by traditional processing. In this regard, I have been working on an incoherent noise suppression algorithm to remove random noise and improve the clarity and signal to noise ratio of the seismic data. I am also working on a deconvolution algorithm, which seeks transform-domain sparsity for improving resolution of the reflection data. The earth and recording instruments filter the seismic data. The deconvolution algorithm aims at restoring the information that is lost through filtering; i.e. broadening the frequency spectrum. For both algorithms, my approach involves a newly formed transform called the “Curvelet Transform”. This transform is multiscale and multidirectional in nature and is very well suited for application to the seismic data. I am testing these algorithms on real seismic data obtained by the petroleum industry as well as some Lithoprobe data. If successful, these algorithms will provide new methods for random noise suppression and improvement of signal-to-noise ratio, and for enhancement of the resolution of seismic reflectivity.